A popular 5-reel slots game, Starburst combines a sleek design with the opportunity to win big. 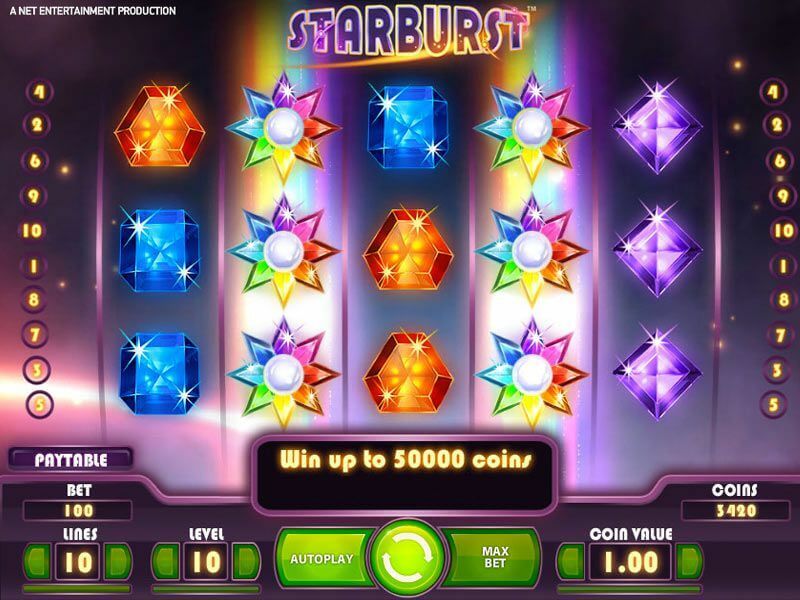 The game follows a cosmic theme of sorts with starbursts and jewels comprising the symbols. In this Starburst slot review, find out everything there is to know about Starburst. Among the topics covered include strategy to win at Starburst, how to play the game. How can I play the Starburst slot game? What is the Starburst RTP figure? What is the best strategy to use when playing the Starburst slot? What are the best slots sites to play the Starburst slot? How can I get free spins and bonuses to play on Starburst? Playing the Starburst slot game is easy for slot veterans and newbies alike. The game has some nuances to get used to, which you can read about here. That way you can spend less time learning the game and more time playing it. The goal when playing Starburst is to line like symbols up along any of the pay lines within the game. There are as many as 10 pay lines available, which opens up several ways to have a winning spin. Of course, wild symbols make it easier for players to get the symbols that they need one each spin as well. Before performing a spin when playing Starburst, players should adjust their bets. This is to make sure that each spin is done within a player’s budget and betting strategy. To do so, players can adjust their level and coin value. The level variant determines how many units per pay line are wagered, while the coin value number determines what one unit is worth. The coin value can be set to anywhere between 0.01 and 1, and is worth double checking before each spin. Selecting your number of pay lines can determine how easy or difficult it is to win on each spin. Of course, the higher the number of pay lines the higher the win probability per spin. To adjust this, simply select a number of pay lines between 1 and 10. This can be changed using the modifier in the bottom left hand corner of the screen. The more pay lines you choose, the more expensive each spin will be. When it comes to unique features and bonuses, Starburst slot players can see a good one. In the middle three reels, wild symbols appear to occupy the entirety of those reels. In the event that this happens, a re-spin occurs with those wilds remaining in place. If it happens again, another re-spin takes place. This continues for up to three re-spins until there are no more new wilds. The prize for this can be massive depending on the outcomes of each spin. RTP is a metric that determines what percentage of a player’s slot wagers will be returned. 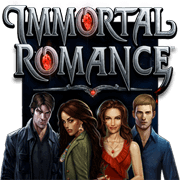 Starburst slot players will be happy to know that the game features a strong RTP of 96.1%. This figure is calculated by mathematically evaluating every possible outcome in a given spin and the probability of them happening. It is some complicated math, but extremely important to know. Of course, RTP does not guarantee that a player will receive a 96.1% return as they play Starburst. That number is meant to convey the return on a long-term amount of playing the game. While your session on the game may yield more or less, an all-time average of 96.1% return to players can be expected. Employing a smart betting strategy is key when playing online slots. When it comes to playing Starburst, these strategies can help maximize time playing the game and money earned. Utilizing smart bankroll management is always the smartest strategy. When it comes to Starburst, this means using a coin size and level that work for your budget. While it seems alluring to max bet and try to win the maximum amount with each spin, playing things more patiently can be much more efficient. While managing your bankroll is important, it is also important to maximize your chance to win on each spin. In the Starburst slot game, using all of the possible pay lines is a great way to do this. After all, more pay lines means more combinations that can result in a win. Some of the best slots sites and casino sites around have Starburst available to their players. Making sure that a site that you want to sign up for has this game is highly recommended. 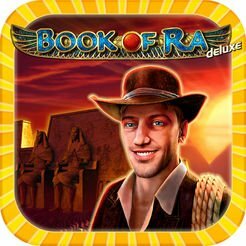 Here are some of the sites that offer this game. Casumo is one of the better online slots sites thanks to its responsive design. Players on mobile or desktop devices can see that this site was designed with them in mind. Combine that with the fact that this site has a ton of different games to choose from, and it is no wonder why many players choose this site to play Starburst at. One of the biggest brand names in betting, bet365 Casino offers Starburst action to its players. The site also has a world class sports betting platform and tons of other casino options. Starburst slot action will never get stale with bet365 to say the least. Getting free spins and bonuses to play the Starburst slot is easy. 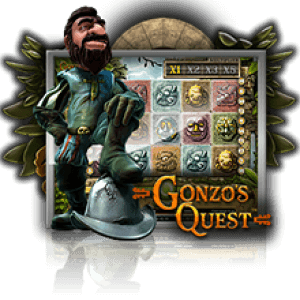 Players can claim those bonuses when they sign up for an account at an online slots site. 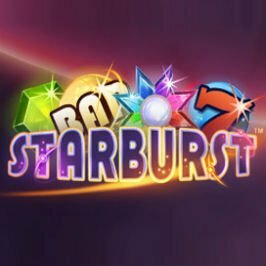 Signing up using a pre-designated promo code can entitle the player to free spins to use on games like Starburst. 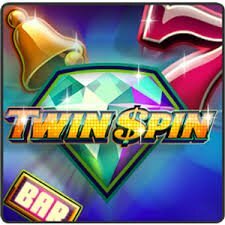 They can also be eligible for bonuses after making their first deposit on a site to pad their bankroll before casting a single spin. There is a lot to like when playing Starburst. It has some calming music and a gorgeous design. Perhaps the biggest issue with it is the fact that everyone has slots games that feature jewels and things of that sort. What it lacks in originality it makes up in quality.